Hometales is a premium lodging experience for travellers curious to explore what it really means to be a Jaipurite. It is a comfortable, hygienic, secure and conveniently located backpackers hostel in a slick setup. Hometales boasts of an unbelievably convenient location. 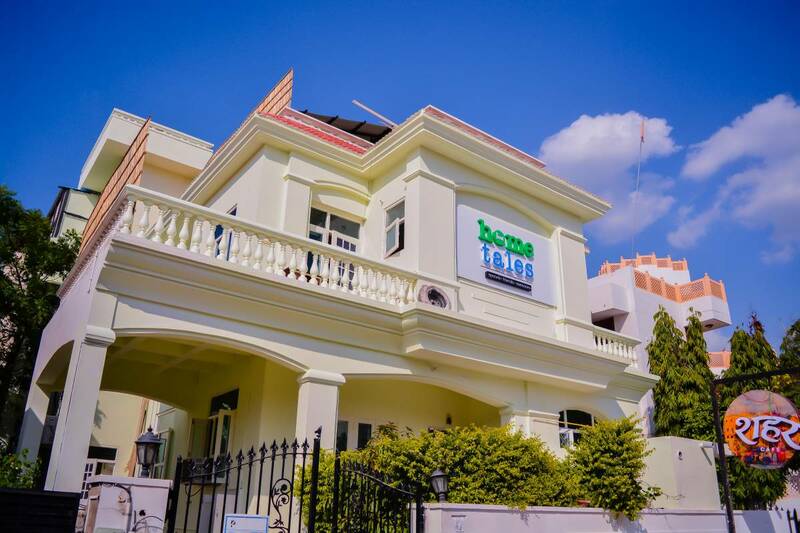 Hometales is a bungalow equipped with three private rooms and five dorm rooms. A completely air-conditioned home full of natural light and oxygen, bestowed with a garden, lobby, pantry and compact gym and common spaces on the ground floor and roof top. The 24x7 front desk is able to take care of all requests, accessible via intercom. The setup is enriched with contemporary yet classic wooden furniture and well-preserved antique artifacts. Travellers are offered free towels, cuddle pillows and premium linen. CCTV cameras are operational 24 hours to ensure security. Free access to wi-fi all day long. Cherry on the top, Hometales has an in-house ethnic cafe - Sheher, live entertainment and an in-house merchandise store so that you can take a part of Jaipur away with you, before we meet again! here! Every kind of transport is available.